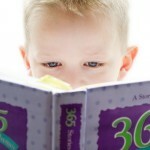 Reading makes any young child to improve their vocabulary and imagination. 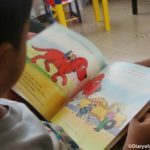 At our home, we love reading and it is same with my toddler. 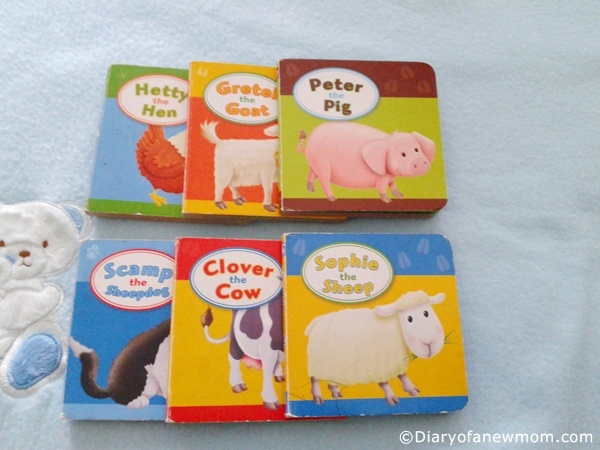 These days his favorite books are these Farm Animals Pocket Library books published by Egmont UK Limited. We bought these books when he was just 1 year old. 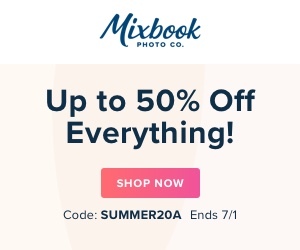 At that time he enjoyed looking at the colorful illustrations of farm animals. 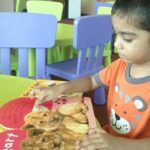 He quickly learned the names of the farm animals and could point the illustrations with the name of the animal. Now he really enjoys reading the cute stories in these books. Actually he can’t read yet. But he asks me to read the books several times a day and he knows the stories in the books. Then he alone repeats the stories turning page by page. I could see how he learned to talk long sentences and present a story by looking at each illustration. 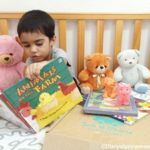 As a mom for a toddler, I can highly recommend this set of farm animals books for any moms who are looking for best books for toddlers. Recommended ages for these books by the publishers are 2-5 years old. 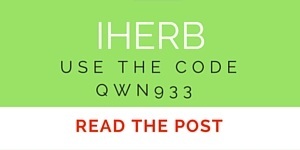 But, I would recommend it even for infants as we used it for our son when he was just 1 year old. Written by Craig Cameron ,this set of books comprise of 6 small books. 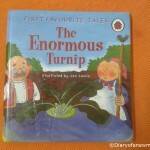 These books feature the farm animals and what they do all day. 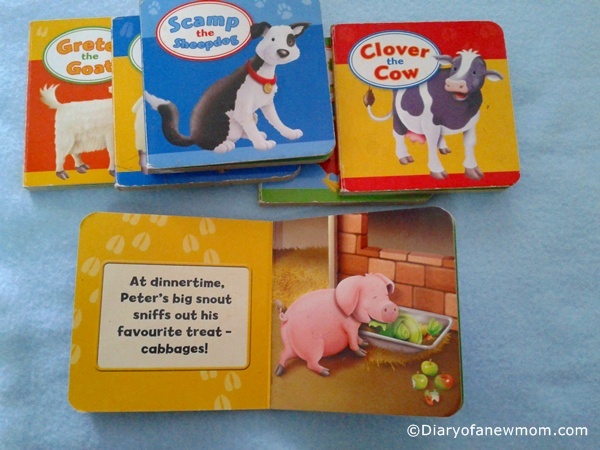 The 6 books include the small books of Clover the Cow, Peter the Pig, Sophie the Sheep, Hetty the Hen, Gretel the Goat, and Scamp the Sheepdog. 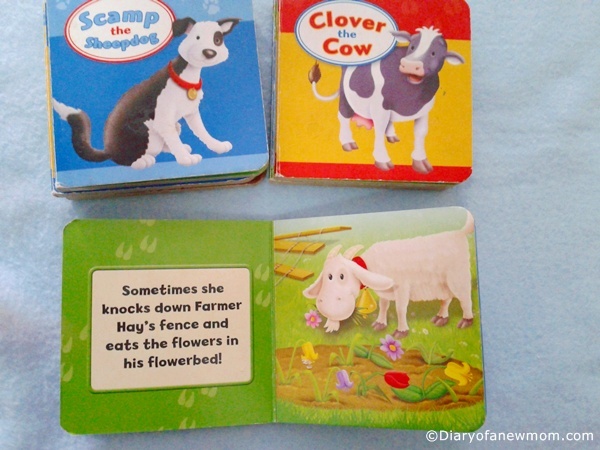 With colorful illustrations and easy to remember rhythmic stories this pocket library is a great way to introduce the farm activities and farm animals for little children. Other than reading at home, these pocket library books are great to bring anywhere when we travel. I usually keep few books in my bag whenever we go out, so I can easily keep my son engaged with the books. 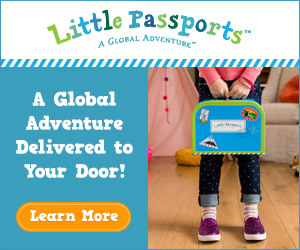 These are light weight and great to keep inside diaper bag or kids bag when travel.